In July I had the amazing privilege of going on a mission trip to Madagascar with my church. As it was my first mission I was under the illusion when I signed up, that the role I would be playing would be minor because I didn’t have that much to bring to the table with regards to Missions experience etc. That I would leave to the other pro-missioners, you know. I’d just sit back and watch and learn from them comfortably. But God had other plans in mind for me (and for all of us as a team) in order to challenge, encourage and bless us so that we would learn to trust in Him more, and grow in our knowledge and experience of Him. He wasn’t interested in our comfort- he was concerned with our character. Jesus was on Mission to Madagascar- and was inviting us as a team to be a part of that adventure. We would get to have front row seats to see how He works, and how He changes lives. And wow, what a privilege that is! Looking back, I’m in awe of how God worked to make the way for us to go on His mission to Madagascar. Finances came supernaturally streaming into our missions fund without us even knowing it. And even in the smallest things I could see His goodness go before us. His favor and protection were constantly surrounding us, confirming that where we were was exactly where he wanted us to be, doing what He wanted us to do. We flew via Niarobi with Kenya Airways, to Madagascar’s capital city Antananarivo. There we met up with our contact Emile, who warmly welcomed us and equipped us with information for our stay in this beautiful country. On our first night there, he took us to a Malagasy restaurant where we got to taste the traditional local cuisine. The next morning early we left the hotel to find a bus at the taxi rank that would take us to Vatomandry. There we also met our amazing translator Josiane, who would be travelling with us from there on out. Antananarivo (or Tana as the locals call it) is a really busy city and we got a good taste of the craziness that is their traffic rush hour. I don’t know how these people got drivers licenses. Seriously. Crazy stuff. So many times thought we were going to be in a car accident, but thankfully we made it out unscathed. We eventually arrived at the church we would be staying at in Vatomandry and were met by pastor Jean Kri and his family. They are absolutely amazing people who welcomed us warmly with self sacrificing hospitality. It was such a humbling experience to see how the served, and loved all the people they come into contact with. For lunch, they served us a traditional Malagasy lunch with fish, rice, fried banana, some type of wild forest sweet potato and cassava. Thereafter, we jumped straight into the ministry teaching program we had planned. Many people recommitted their lives to Christ and were filled with the Holy Spirit. I was standing at the back of the church by myself filming some of the teachings, and I could feel all the eyes of the kiddies on me and my camera. They’d keep looking back out of curiosity. Eventually one came to sit in the area of seats where I was sitting, then another one joined, and then another. Soon there was a whole group of kids sitting around me. They’d keep looking at me and as soon as I smiled at them their faces would just light up with joy. I motioned to the one little girl to come sit next to me, which she did and soon all the others moved closer too. Not long after the little girl was on my lap. My team members Janneke and Mia joined me, and soon after we had the whole church’s kindergarten kids around us. It was such a special moment and I was reminded of the verse in the bible where Jesus says, “do not stop these little ones from coming to Me, for the Kingdom of Heaven belongs to such as these.” I was so humbled by the whole experience. By how much love they give and how ready they are to be loved and accepted. Truly was something so special. After the service we had a great time we had dancing with all the kids. These little ones can dance. Jeepars. They had energy for days! The next morning we were up early for a quick worship and quite time session, before heading out to a nearby church outside of Vatomandry. The church we went to was a tiny one in a field. Walking there you could hear them worshiping in the distance. When we entered in we were welcomed by friendly faces who had been waiting for us to arrive. There we did the Lifehouse skit and Steve and Thinus preached on Salvation and the Holy Spirit. Afterwards we asked if anyone needed prayer for anything and many people came forward. People came asking for boldness to share their testimonies, asked for healing from back pain, help with protection for their business, and a whole lot of physical ailments- all of which were healed. Then there was also a barren woman who came up for prayer. My goodness my heart broke for her. I started crying when I realized and could feel in my heart some of the pain she must have been feeling. We prayed a blessing over her and her womb, and that she would know the joy of being a mother. I’m trusting that next year, she will be holding a baby in her arms and can testify to how Jesus answered that prayer for her. Afterwards we had lunch where I ate what must have been the chicken comrades marathon winner of 1955. To say it was chewy was an understatement of note. Later we strolled around the market place and met some local people along the way which made for great footage. We took the bicycle taxi’s back to the church where we started with the second half of the teachings we had perpared. After some special ministry time we had supper, shared some testimonies and then prayed for the Kiri family. They are just amazing people, and I have so much love and respect in my heart for them. I know God is using them and going to use them in an amazing way still. The next morning early, I along with Le Roux, Juny and Josiane headed out to the beach so that I could do a time lapse of the sunrise. Whilst my one camera was capturing the time lapse I walked around with the other one taking pictures and videos of life as it happened before my eyes. I really enjoyed this time as I felt I got to have a peep into the everyday life of the Malagasy people and had some very special moments with the people that I encountered there. Our next stop would be the town of Antsapanana, where we would be ministering to Pastor Kemba and her congregation. En route there, we once again experienced the joys of travel in Africa. The taxi was definitely not roadworthy but made for great laughs none the less! This lady in the pink is Josiane, our amazing translator. What a blessing this woman was. Faithfully carrying out her task to the best of her ability and always giving God the glory. Above is what the typical kitchen in a Malagasy restaurant looks like. After seeing this picture I realise just how much God protected us on this trip. We could have picked up so many tummy bugs from the food we ate, but we thankfully never did. After a very fruitful 2 days of ministry in Antsapanana, we left for Moramanga where we would enjoy a team rest day, visiting the lemur park in the morning. Here we got to see some lemurs, crocodiles and even a fosa. We ate a great, non traditional Malagasy lunch at the Parks restaurant, and then headed to our hotel for a much needed late afternoon nap. We were so excited and grateful to use a flushing toilet again, and not have to be worried about falling into a long-drop. (Because that is a legitimate fear I tell you.) I don’t think we realized just how tired we were- and so when our heads hit the pillow that night we were out for the count. The next morning we met Pastor Lanto who came to pick us up from the hotel to take us to his church where we would be staying for the rest of our time on mission. 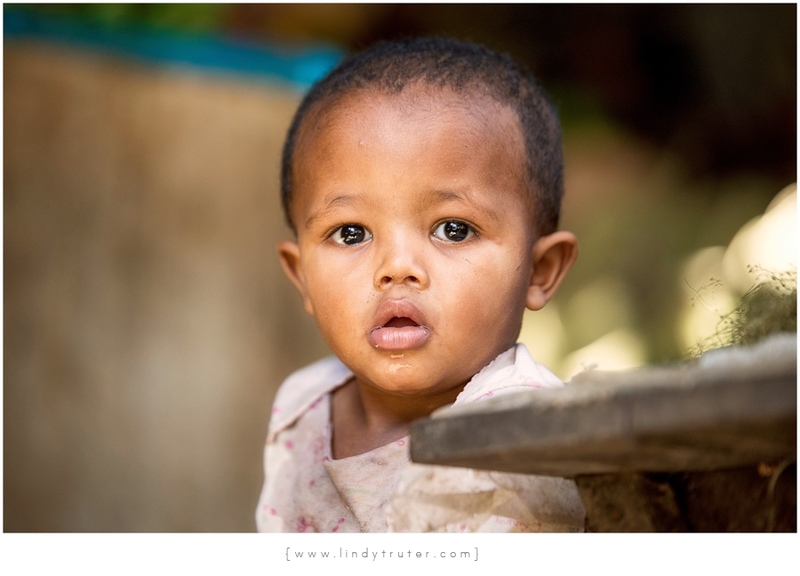 We put our bags down, and headed out into the streets where we strolled through the markets observing the Malagasy people go about their everyday life. For lunch we headed back to pastor Lanto’s church. Where they had very kindly provided a meal for us, in true Malagasy style – lots of rice! But at every place we stayed I was so overwhelmed by the people’s generosity and hospitality. They know how to serve and give the best of what they have with pure and honest hearts. After lunch Steve and I were in the church recording a testimony, when two ladies walked into the church. The one lady (with the pink scarf) started talking to me in Malagasy. The only word I could make out was the word bible. She also kept gesturing to reading it. So we asked her if we could pray for her, she gestured yes and so we prayed for her vision to be restored and for her ability to read the bible. Josiane our translator walked past outside, and we called her in to come translate for us. She confirmed that the lady really wants to read her bible but can’t anymore because her eyesight has become too weak. We prayed for her again, and then asked her to tell us if it was any better. She confirmed that it was. I brought her a page of Malagasy worship music that I had found lying in the church and asked her to read it. She could now read the whole page, which previously she couldn’t do before! We walked away praising Jesus for this divine appointment where He restored a woman’s eyesight so she could read His Word again. Whilst in Moramanga we also did some street ministry, and were able to pray for many people to come to know Christ and his love. We also ministered at Pastor Emile’s church which was on the other side of town. Pastor Lanto and Emile have a good working relationship and it was great partnering with these two congregations to bring about change in Moramanga, a city that is plagued with poverty and a moral demise after the introduction of a mining project just outside of town. Shofar Letsgo MADAGASCAR Mission Highlights from Lindy Truter on Vimeo. wHAT A BLESSING TO THESE PEOPLE AND TO YOURSELVES! Loved looking through your photos and seeing all the work you all did. Well done! What a beautiful story, lindy! god bless madagascar and all of you.